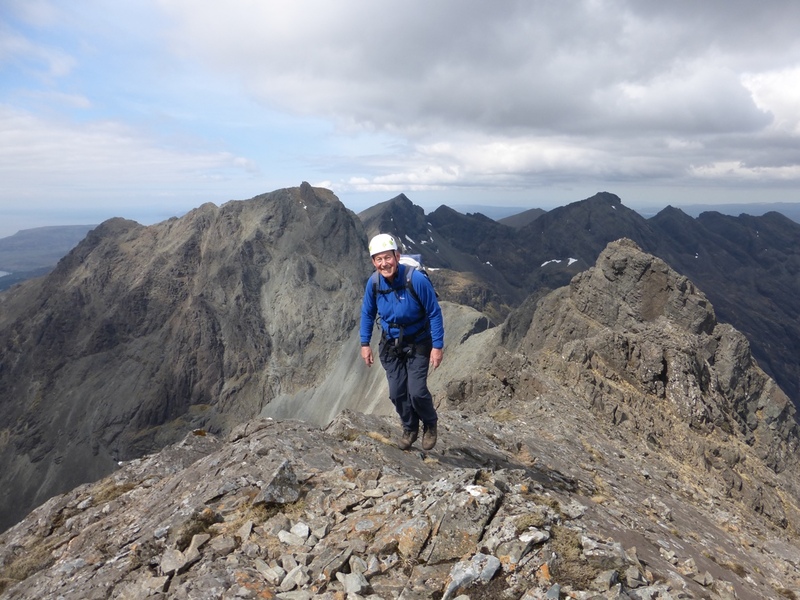 With our wonderful weather due to break over the weekend I was keen to get another Cuillin rock route done. Francis is right in the groove just now so we agreed to meet up once I’d finished guiding Colin on a round of Coire Lagan. Overnight frost made things cool but perfect for scrambling and the rocks were bone dry as Colin and I zoomed around from the Pinn to Alasdair and down to the lochan in about 7 hours. Francis was waiting at the loch and we discussed the cold and lack of sunshine but decided to stick to our original ambition. With just a couple of micros and a shallow rock 6 placement Francis justifiably took his time working out the “long” move. Climbing back down and balancing out left he got a bomb-proof nut that I could tell was going to be great fun for me to retrieve! Another good nut appeared in a horizontal break and suddenly Francis made the long move with apparent ease. I could see the holds he’d reached were big but didn’t appreciate quite how steep the wall below was. Mr Muscle hung in for ages arranging 2 big cams before finally moving out to the arete. 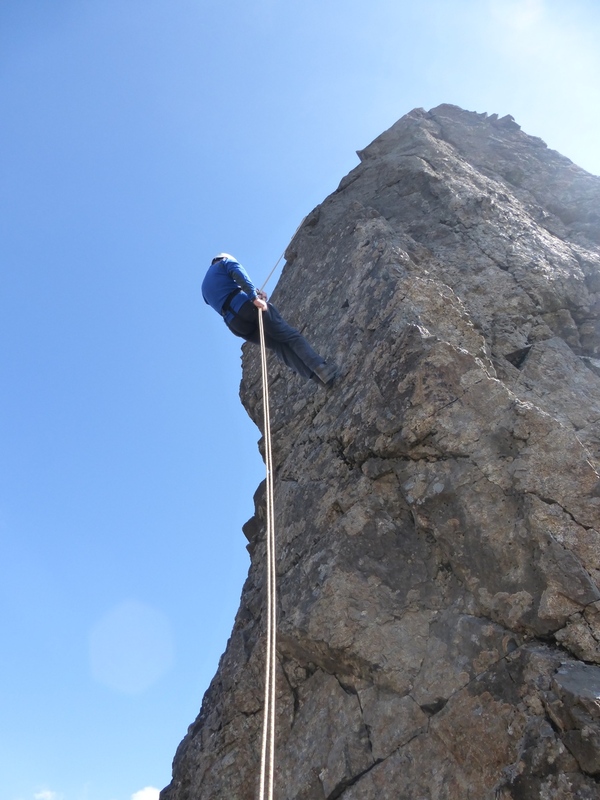 Around the corner the ancient rusting peg had disappeared and the small friend placement didn’t inspire so Francis continued boldly up the arete to finally reach a decent anchor 20m higher. 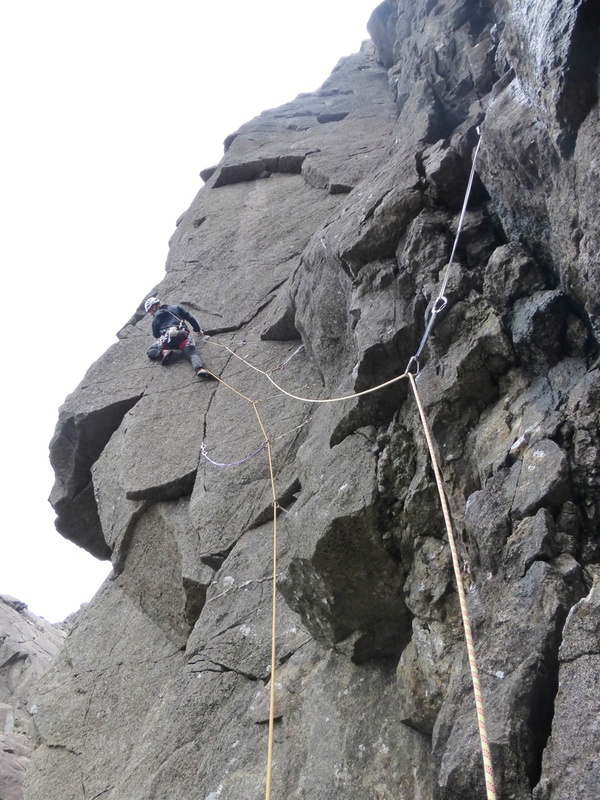 No amount of arm-swinging or thrusting hands into pockets could bring my frozen fingers back to life so my climbing involved a scary approach into the groove followed by blatent hauling and hanging on the gear. 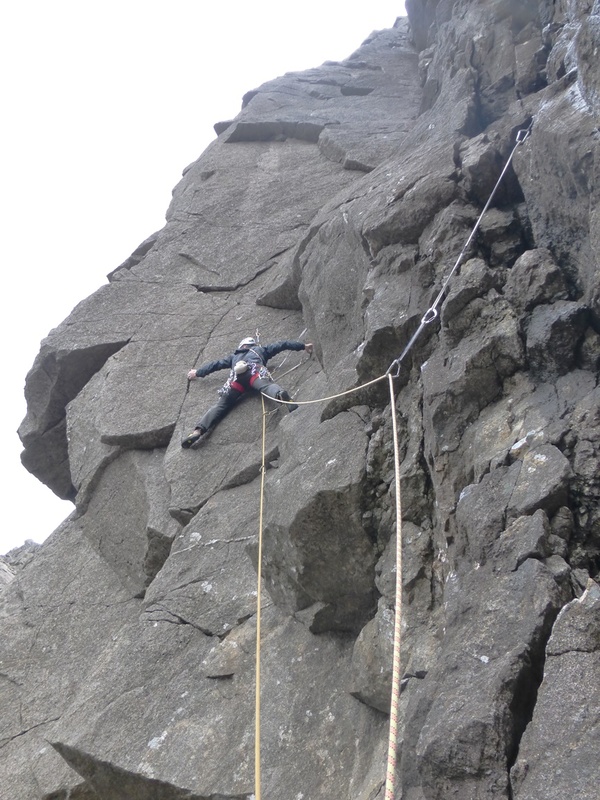 A few tears were shed as my fingers pulsated back into life on the belay. 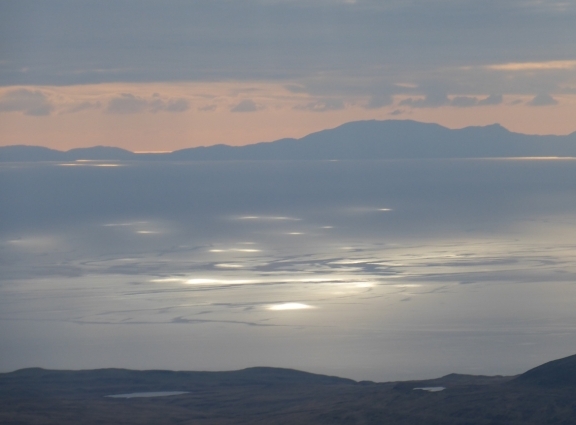 I was finally able to appreciate the position & enjoy the final 20m of delicate slabby climbing as the sunlight reflected off the Minch. Temerity (def. reckless with a disregard for safety) is a very fine climb but I’ll wait for a warmer day to have another go! Sunset over the Minch and South Uist.